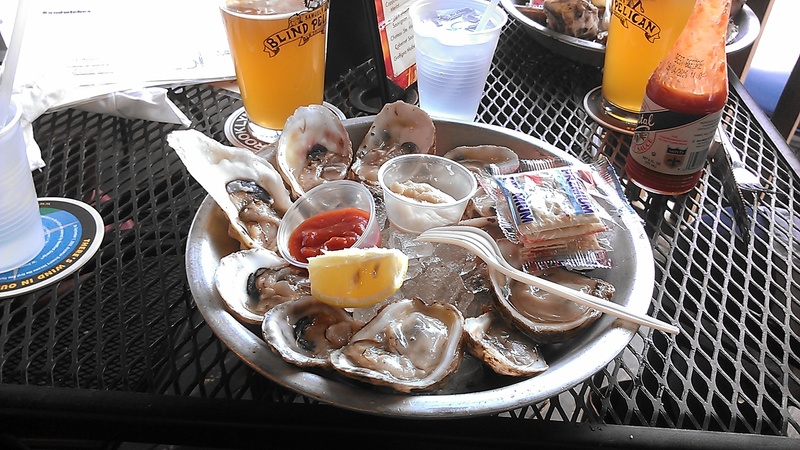 • 25 cent oysters during happy hour at The Blind Pelican on St. Charles Avenue. The special price is offered from 4 p.m. to 8 p.m. every day of the week. 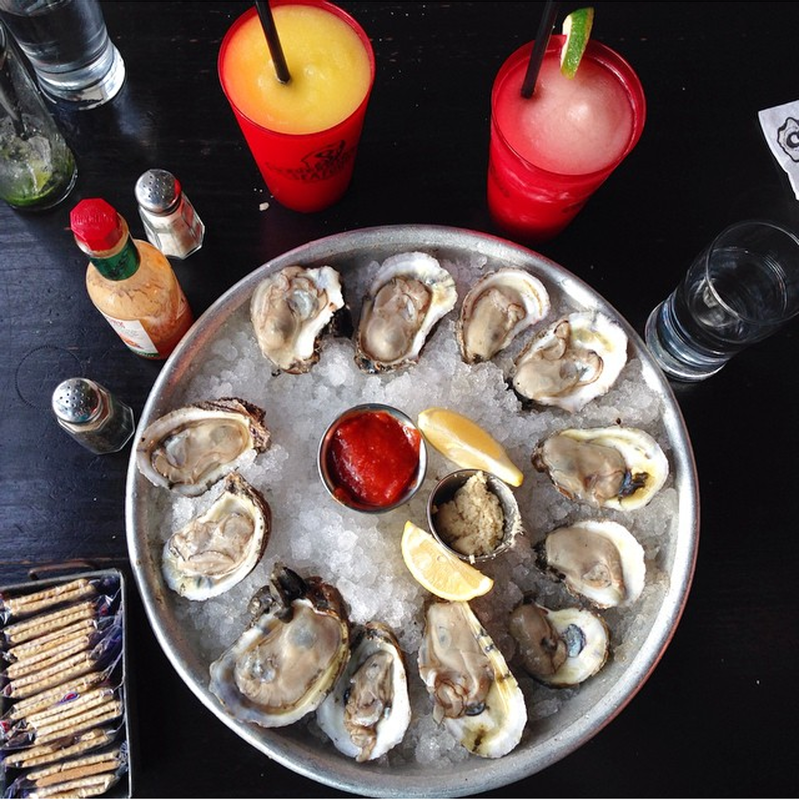 You can get a dozen discounted oysters for every regular price drink you get. Charbroiled oysters also are discounted. Casual restaurant with a big porch. • Charbroiled oysters at Drago’s. They aren’t cheap ($19/dozen), but they are oh so good. 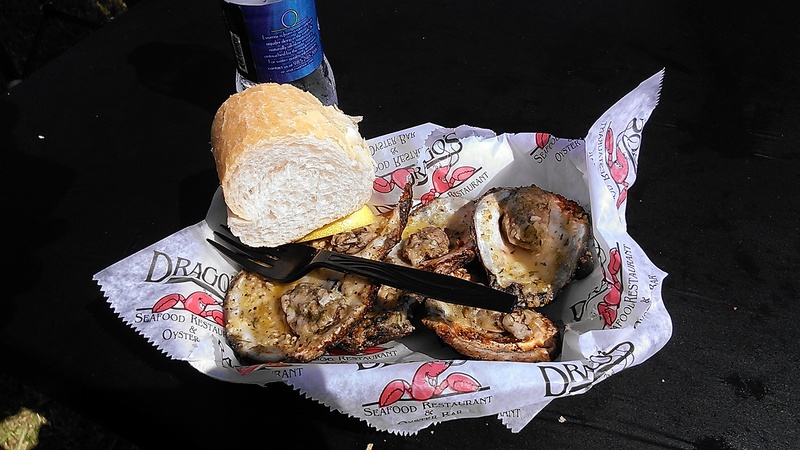 Several other restaurants offer charbroiled oysters, but Drago’s makes our favorite version. Drago’s has a location downtown inside the Hilton and another location in Metairie near Lakeside Shopping Center. • Raw oysters from Casamento’s on Magazine Street. This old school oyster bar has charm. It’s cash only and has odd hours. Our favorite way to enjoy oysters here – mosey up to the oyster bar, get a dozen and ask for the shucker’s special cocktail sauce. Yum. • Raw oysters from Acme. It’s a classic. – Cooter Brown’s – in the Riverbend off St. Charles. The tavern also has an extensive beer list. 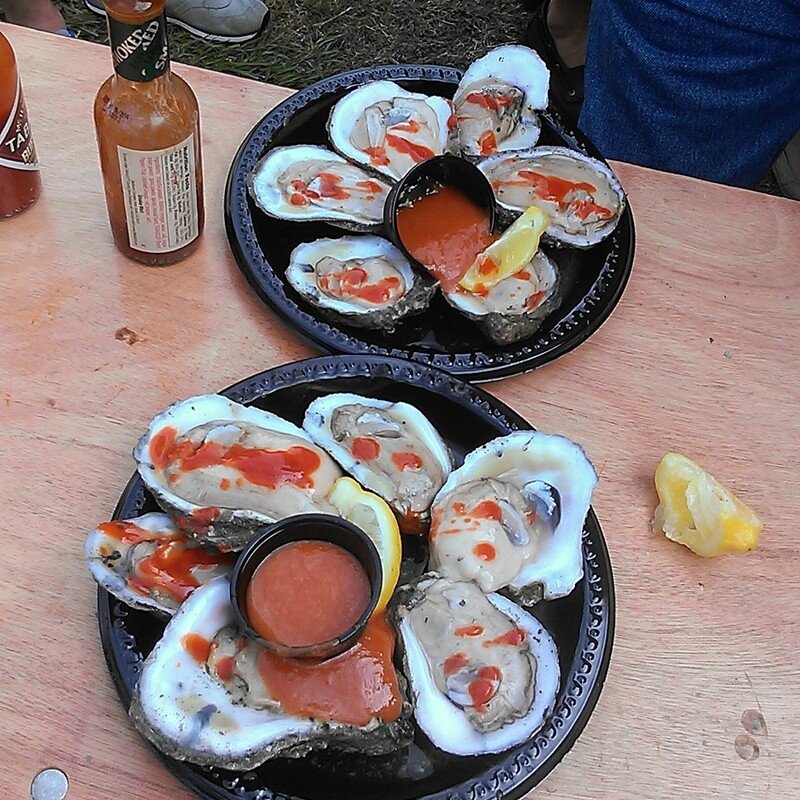 – Brisbi’s – this lakefront restaurant has 50 cent oysters during happy hour. 4 – 6:30 every day. – Peche – this trendy seafood restaurant fills up fast. Make reservations. – Pascal’s Manale – this Italian restaurant on Napoleon Avenue celebrated its 100th birthday in 2013, a sure sign it is doing something right. Along with its oyster bar, it’s known for its bbq shrimp. 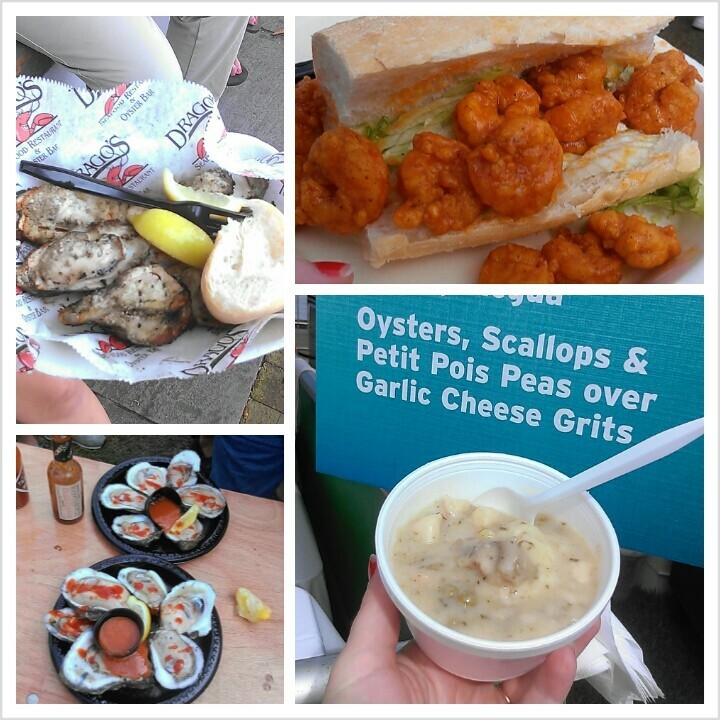 And don’t forget about the New Orleans Oyster Festival. Free admission and every oyster dish you could possibly want. It’s scheduled for May 31 – June 1 this year. Check out our photos from last year. 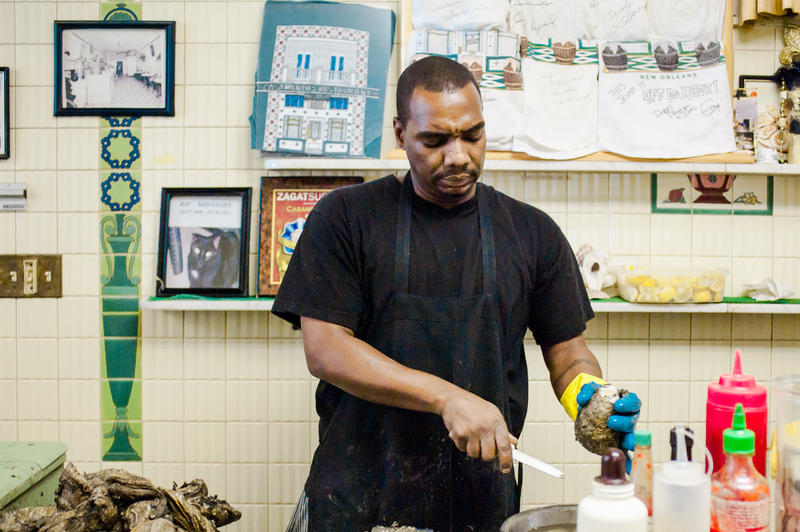 There are plenty of other places in New Orleans to get oysters. Where do you go? Tell us in the comments. No Peche? No Luke? No Manales? You really mailed in that list. We said it wasn’t a complete list. Will add your suggestions to the list. 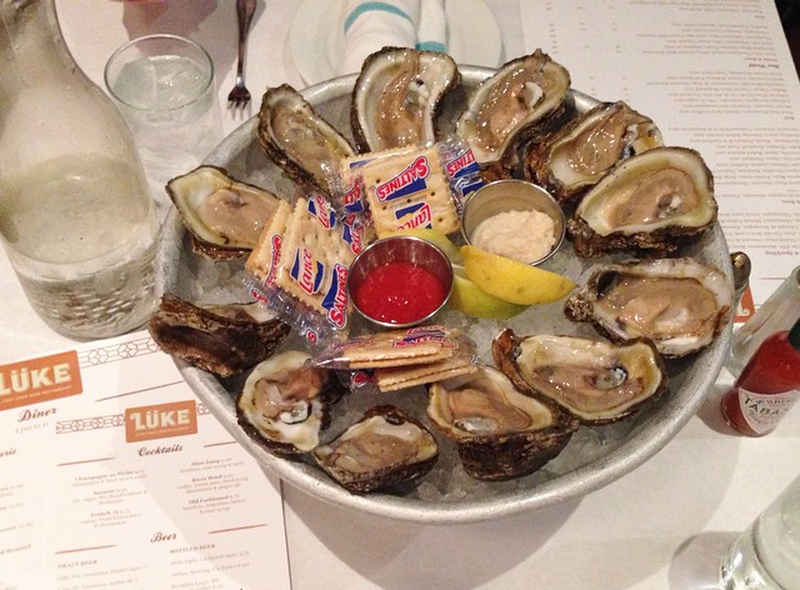 My friends are huge fans of the oyster happy hour at Luke.